Capitals. Aren’t they intriguing? A capital is supposed to be the political and administrative centre of a country, but is it also the cultural centre? Is a capital representative for its country in terms of its artistic, architectural and culinary identity (presuming here that these three aspects are the focus of attention for many travelers)? Probably not, and in some cases capitals aren’t even the principal or most well-known city in a country. Just think about Ankara (Turkey, overshadowed by Istanbul), Rabat (Morocco, left in the shade by Marrakech) and even Madrid (Spain, much less visited than e.g. Barcelona). Nevertheless, I am positive that some capitals are pretty decent as a starting point for the cultural exploration of a country. Moreover, certain capitals definitely have the potential to be a travel destination on their own. Many European capitals, for example, are very popular as citytrip destinations. Why? They are usually big enough for a few days of wandering about, most of them are old enough to guarantee at least a few historical buildings, there are often enough parks near the centre to break away from the city’s hustle and bustle, and capitals also tend to have the best museums in the country. Think about it: Paris has the Louvre, London has the British Museum, Rome has the Vatican Museums and Berlin even has an entire museum island (Museuminsel). So, what about Brussels, Belgium’s uninhabitable “hellhole” according to president Trump. Well, it’s no different than the cities I just mentioned above. With an area of 160 km² (60 sq m) it’s really big. If you are looking for old buildings, just go to the Grand Place and you’ll have 360° of history all around you, dating back to the 15th century. If you need some peace and quiet, go to the Warandepark (close to the Royal Palace) or the larger Jubelpark, only 2km (1,2 miles) more to the east. 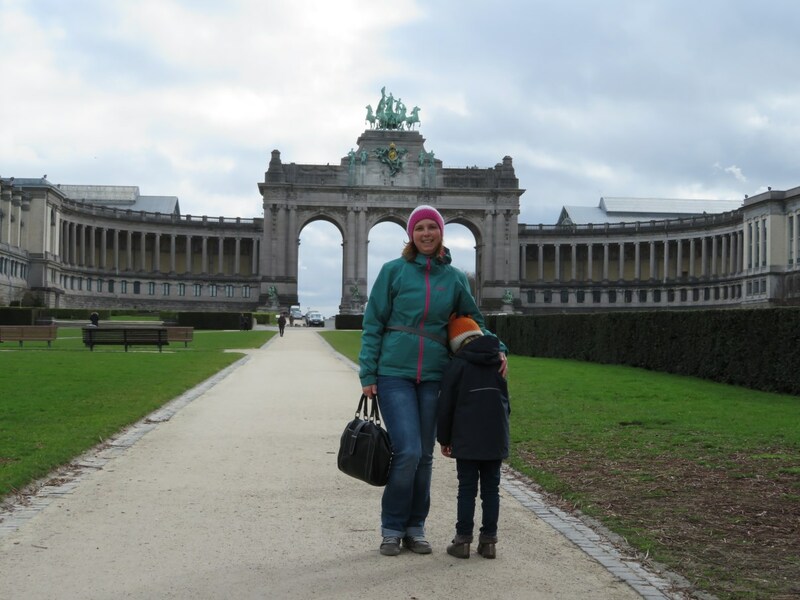 In front of the Triumphal Arch (1905), central highlight of the Jubelpark in Brussels. Brussels also has its fair share of top-class museums. 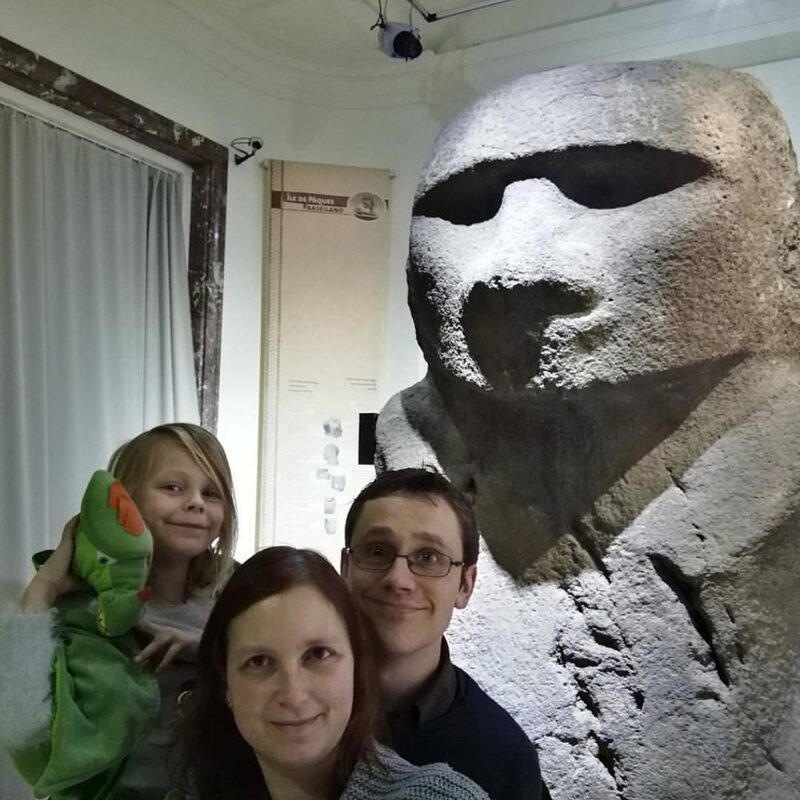 The Royal Belgian Institute of Natural Sciences, Brussels’ Natural History Museum, is definitely worth a visit, as are the Royal Museums of Fine Arts, including the Musée Magritte Museum, dedicated to Belgium’s finest surrealist artist. When you’re in Brussels, also drop by the Musical Instruments Museum, which is located in a stunning Art Nouveau building. The aforementioned Jubelpark is also a hotspot for museum enthousiasts. My personal favourite here is the Cinquantenaire Museum a.k.a. the Jubelparkmuseum (part of the Royal Museums of Art and History), one of the largest museums in Belgium. 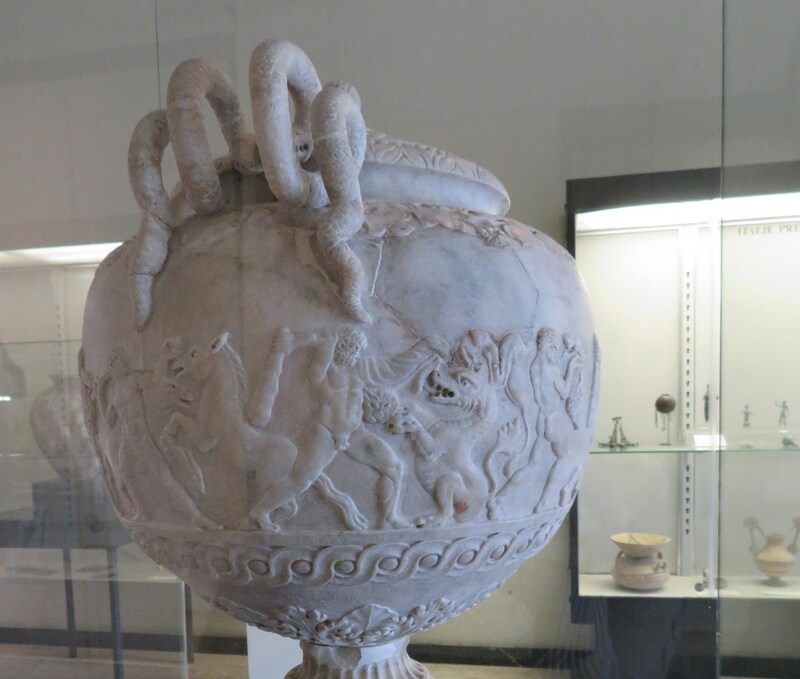 It houses an impressive collection of art(efacts) from prehistoric times over antiquity and the European applied arts to a vast collection of non-European art. Next to its permanent collection, the museum also frequently organizes interesting temporary exhibitions. 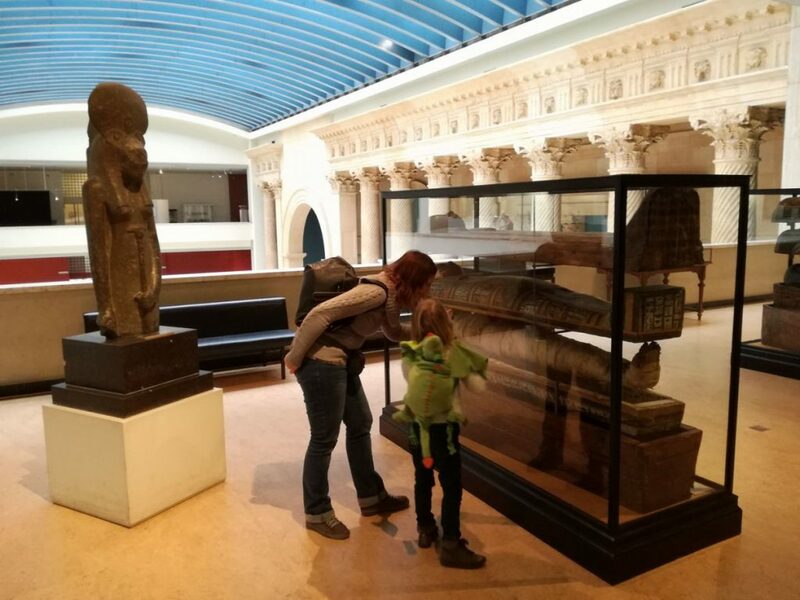 Unfortunately, we missed the “Sarcophagi” exhibition about ancient Egypt last year (2016). Nevertheless, the permanent collection is definitely worth exploring as well, and galleries are constantly being renovated and freshened up. For example, parts of the Egyptian collection are being relocated and some pieces are currently inaccessible due to renovation works. 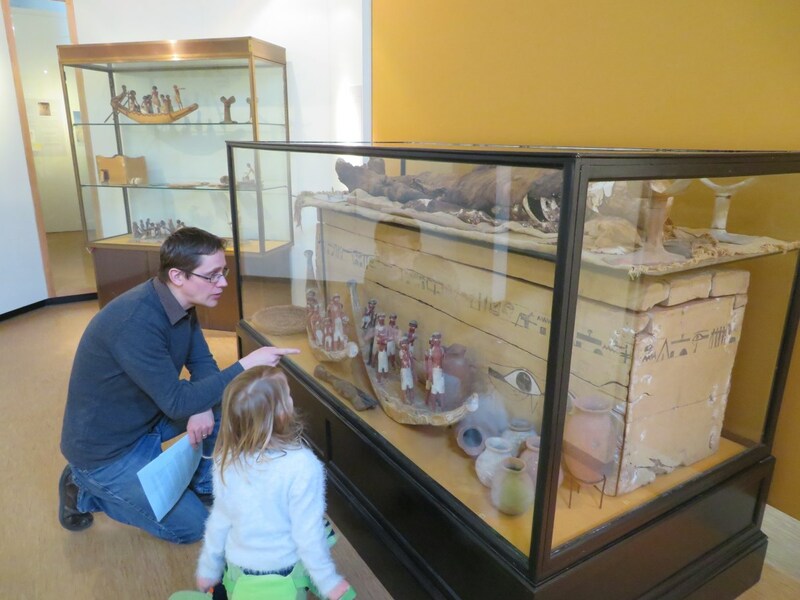 Dad explaining to Febe the significance of the scale model boats that are found in ancient Egyptian tombs. Mom showing Febe the interior of an Egyptian sarcophagus. Section of the Great Colonnade of Apamea (Syria). 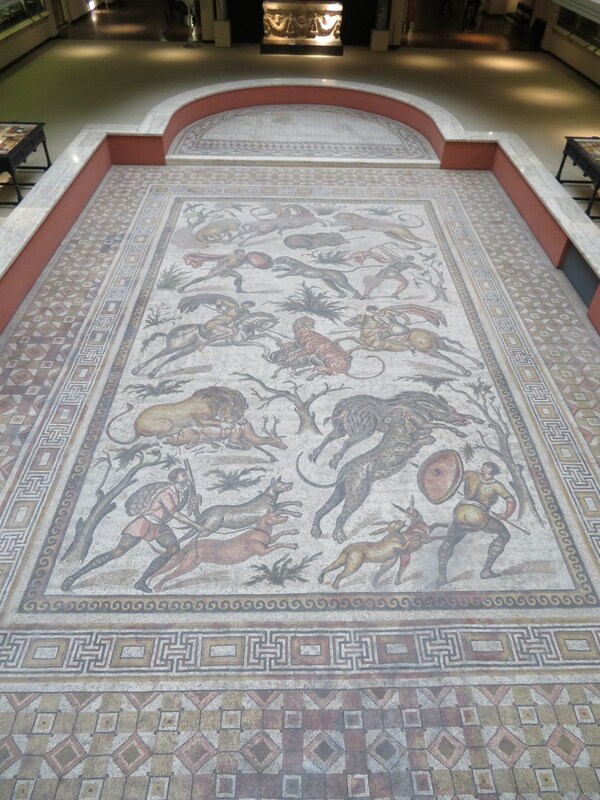 Roman mosaic depicting a hunting scene from Apamea, Syria. 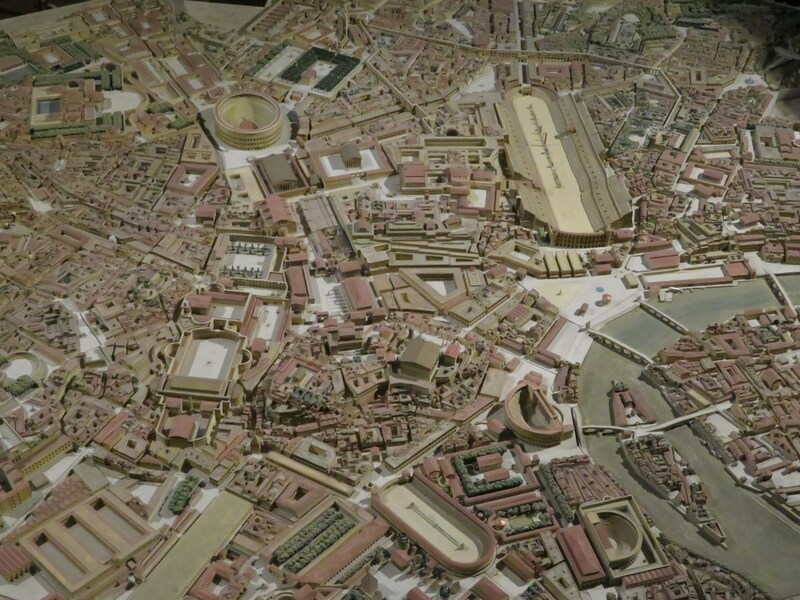 Scale model of ancient Rome. 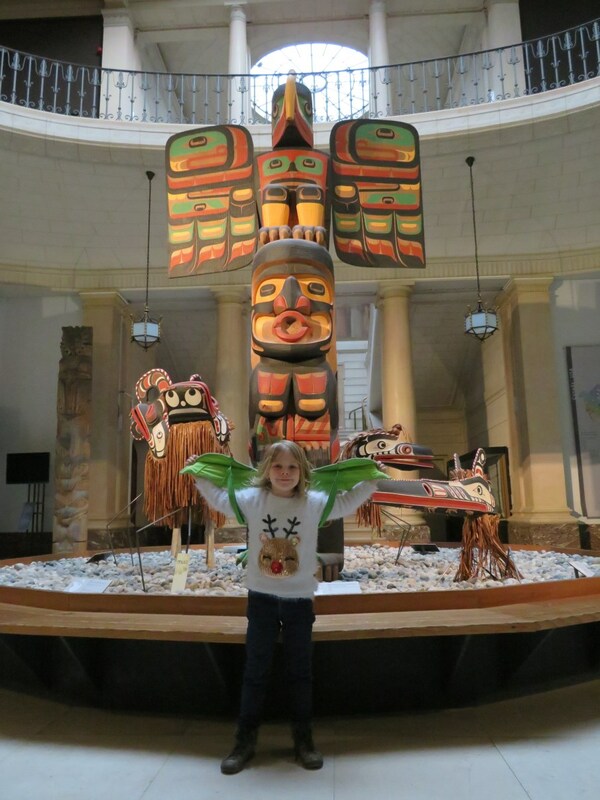 A Native American totem pole, Febe’s favourite piece in the museum. Selfie with this happy fellow from Easter Island. 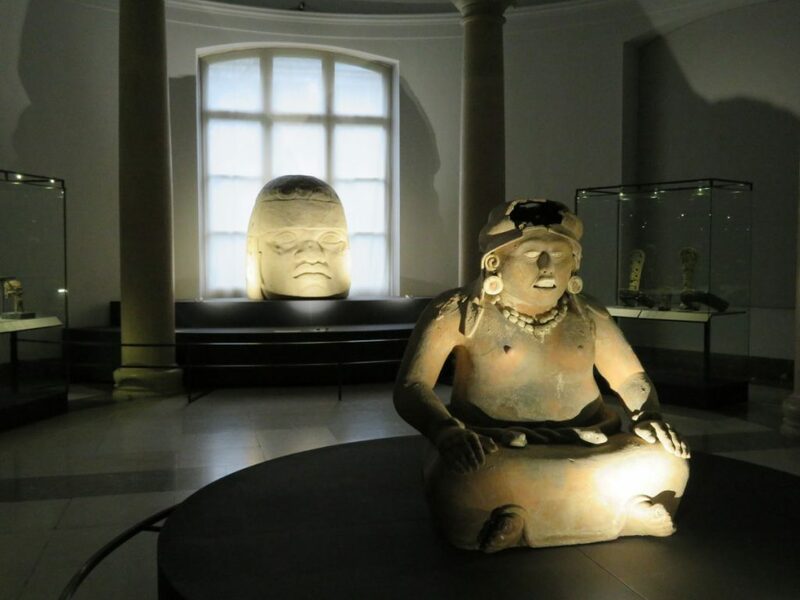 The Aztec fertility goddess Cihuacoatl, in front of an Olmec colossal stone head. 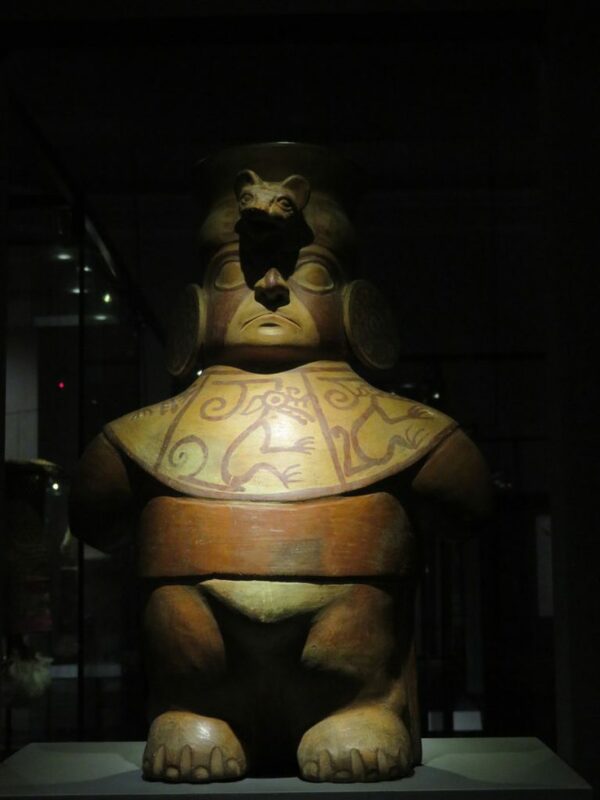 This Chimú offering-bearer was the inspiration for Hergé’s Tintin adventure “The Broken ear”. 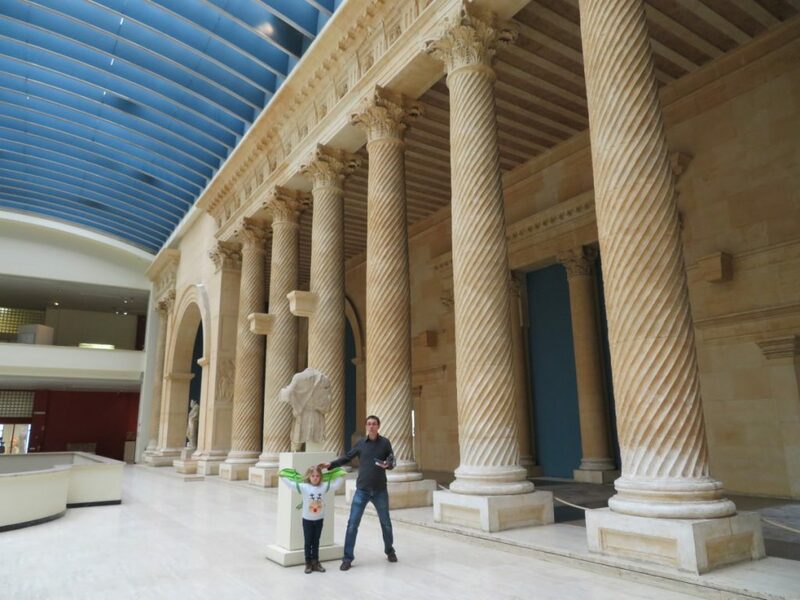 Unlike what you would expect in a traditional museum, your kids will love this place! There are quite a few options for your children to get activated and more involved in the visit. 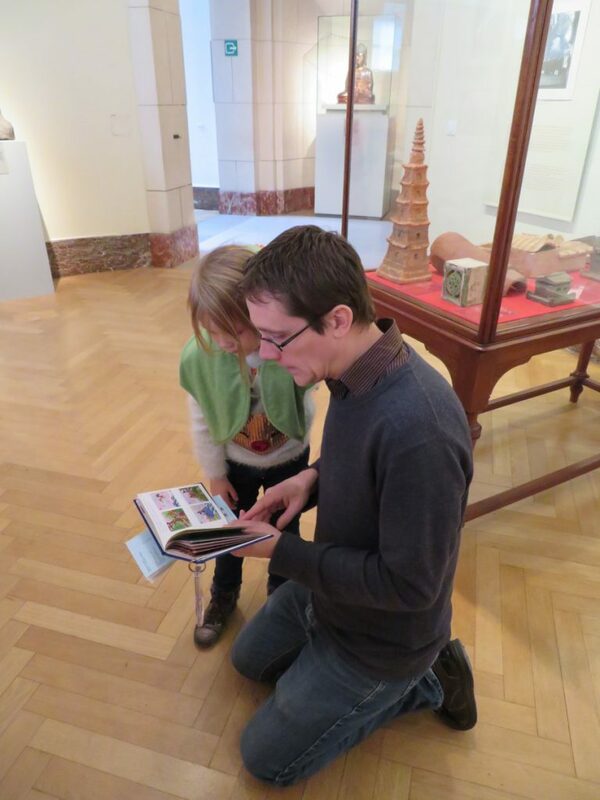 “Rock Paper Scissors – treasures from the Cinquantenaire Museum” is a game on the izi.travel app which includes a gallery trail, audio tour, fun assignments and pop quizzes. We tested it on our 6-year-old but quickly decided that the information and stories were a bit too complex for her. I think it would be more suitable for a 10-12-year old. Trying out the Rock Paper Scissors app with Febe. 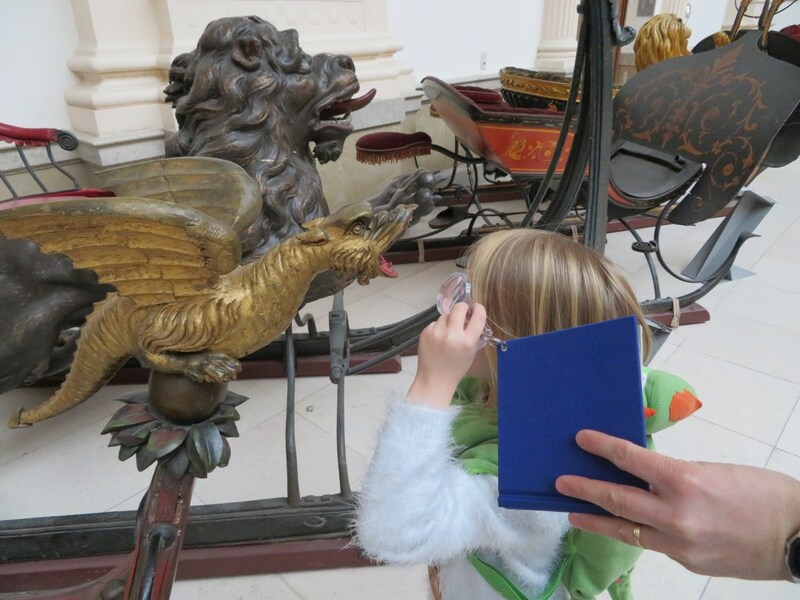 A great alternative for younger kids is the family fun trail “Flying with dragons“. 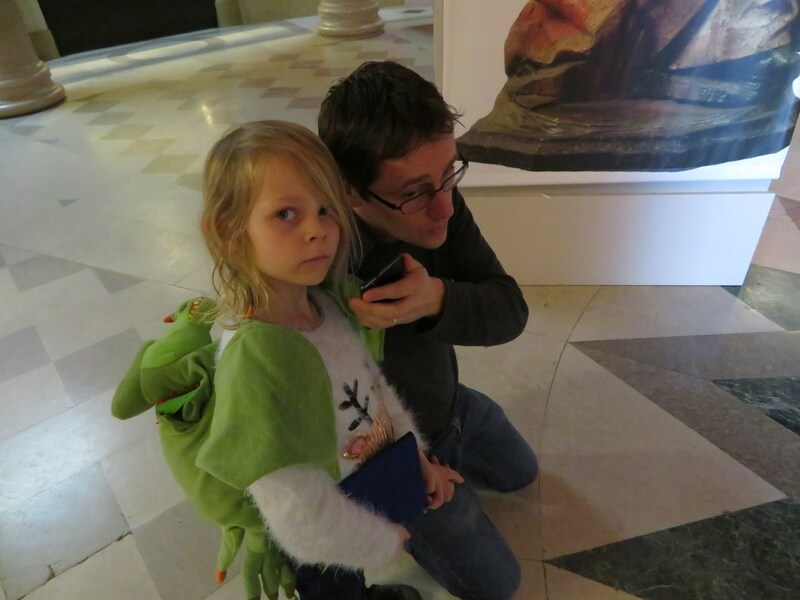 The concept is as simple as it is clever: follow the trail and find the dragons that are hidden in the museum. 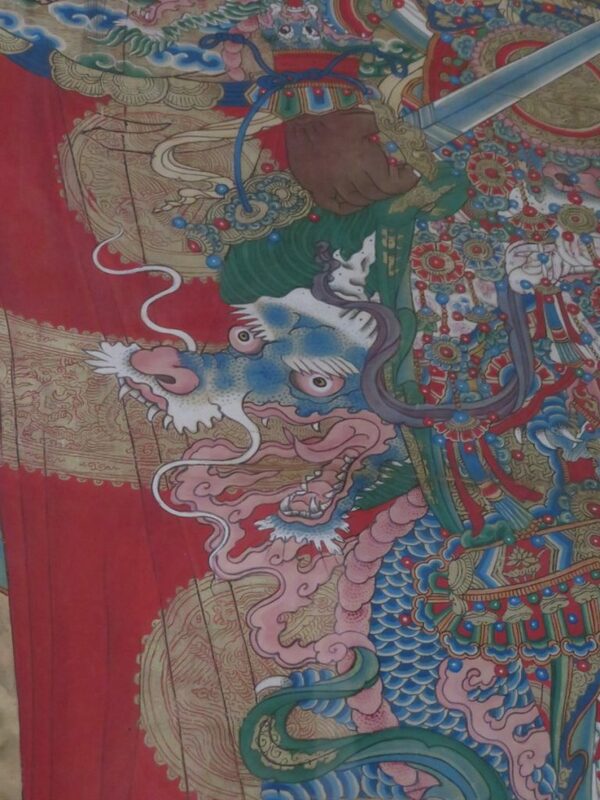 Take note: these dragons are actual components of the historic artefacts that are on display, such as paintings on asian ceramics or handles of an old vase. It comes with a fluffy dragon backpack for your child to wear, a list of directions for the parents to follow and a small booklet for your kid with additional information on the dragons, an anthology of dragon legends and some short games / assignments. 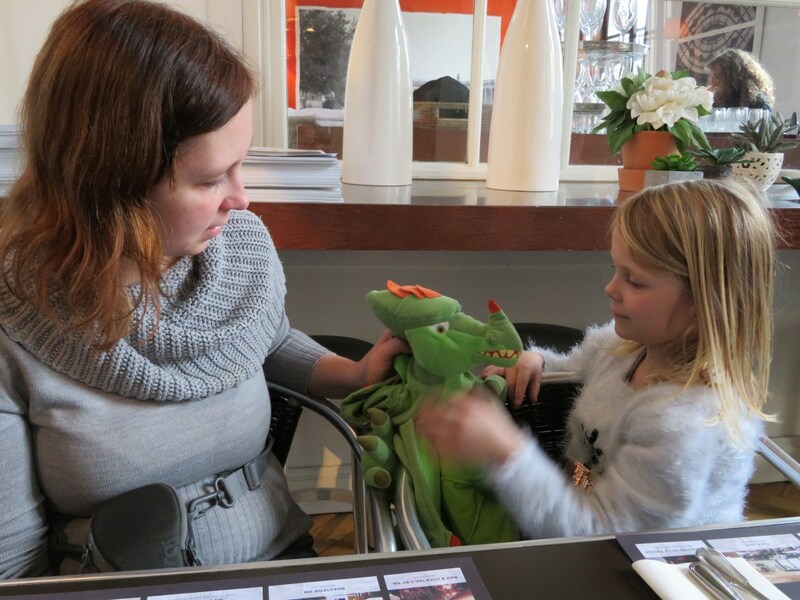 Febe simply loved the backpack dragon, which she named “Vuurie” (“Fire-ee”) and was very eager to find all the dragons. I must admit we didn’t find all of them, but that didn’t spoil the fun. In the end she received a “dracologist” certificate. It took us about 1.5 hours to complete the search (we followed Febe’s pace), which covered a large section of the museum. The game is suitable for children between 6 and 12 years of age. It comes in Dutch, French and English. Price: 3 euro. This dragon was part of an old sleigh. Herakles fighting a dragon on an antique vase. 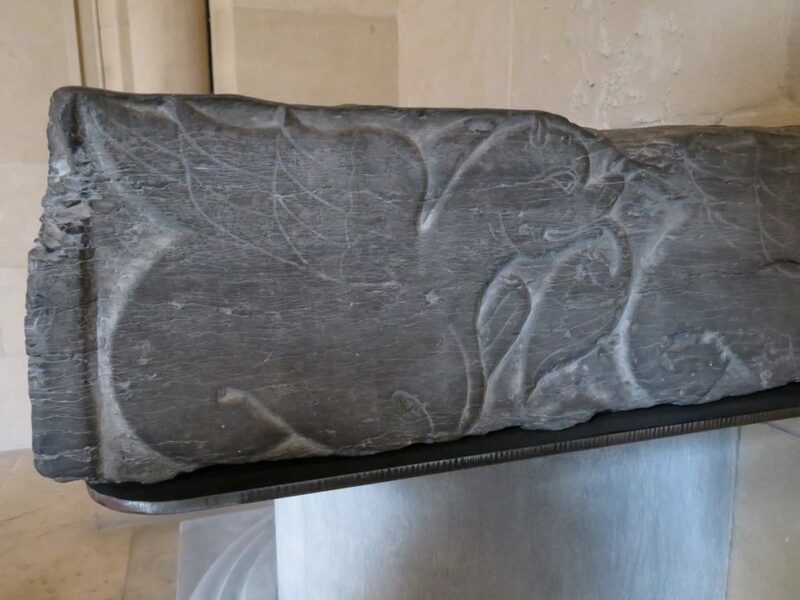 This dragon was found on a medieval baptistry. Looking up some extra information in the booklet. The American collection is not included in the dragons’ trail, because this section is covered in yet another game called “Bison, jaguar and lama“, where your kids have to search for animals. This game comes with a small notebook that the children have to fill in. We did not test this one out. Price: 3 euro. Since it’s practically impossible to see the entire collection in a few hours, it could be important to know that the museum has its own restaurant, located near the entrance. Le restaurant Le Midi 50 serves typical restaurant dishes ranging from a choice of pastas to local dishes such as Brussels’ chicory in ham and cheese sauce. Prices are reasonable, though not cheap (main dishes €14-22; pasta €14-15; children’s menu €10; soft drinks €3; beer and wine €4). Having a conversation with Vuurie in the restaurant. 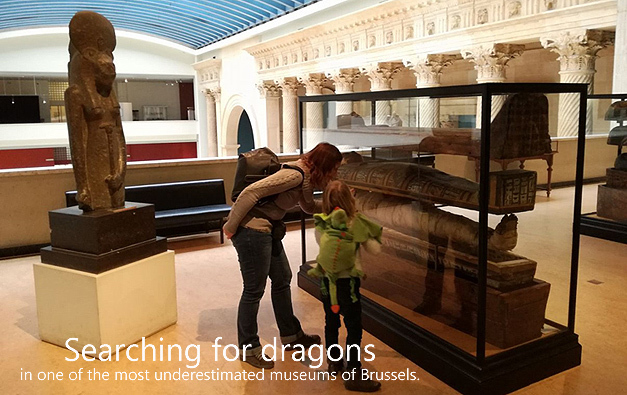 So, if you’re a family visiting Brussels, don’t hesitate to get inside its gigantic museum of ancient history. It won’t disappoint! The Pergamon museum: a wonder to behold!